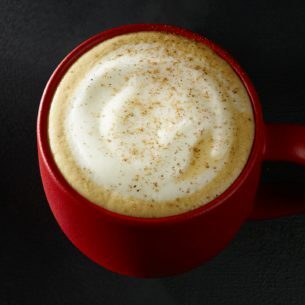 This perennial holiday favorite is made with rich, steamed eggnog and our signature espresso. Then we top it off with a dusting of ground nutmeg for the perfect finish. Eggnog [Varies By Region - Information Available At Your Local Store], Milk, Brewed Espresso, Nutmeg.